Magnet #182. 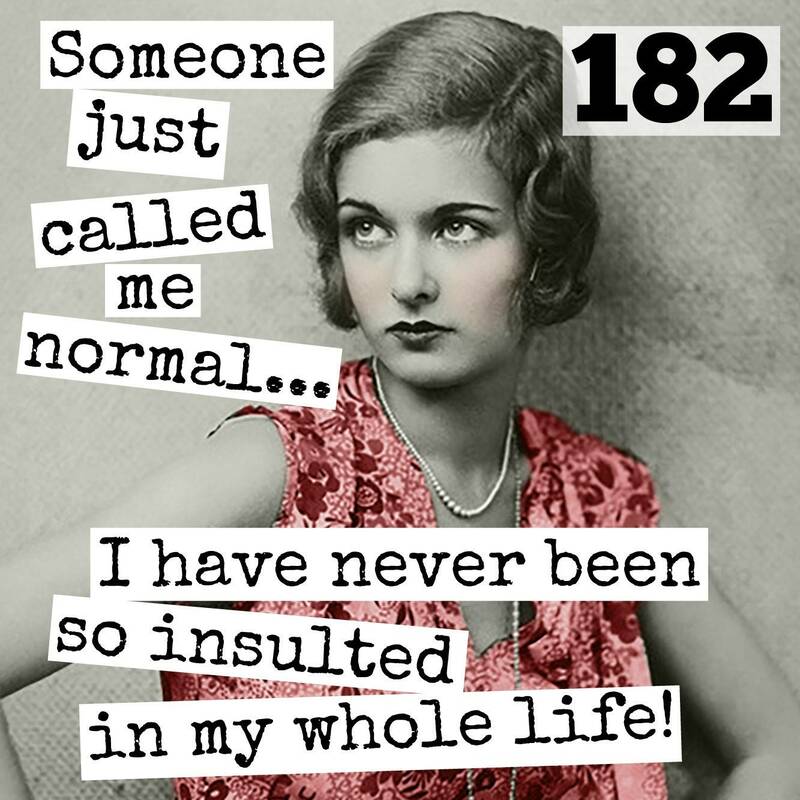 Someone Just Called Me Normal... I Have Never Been So Insulted In My Whole Life! 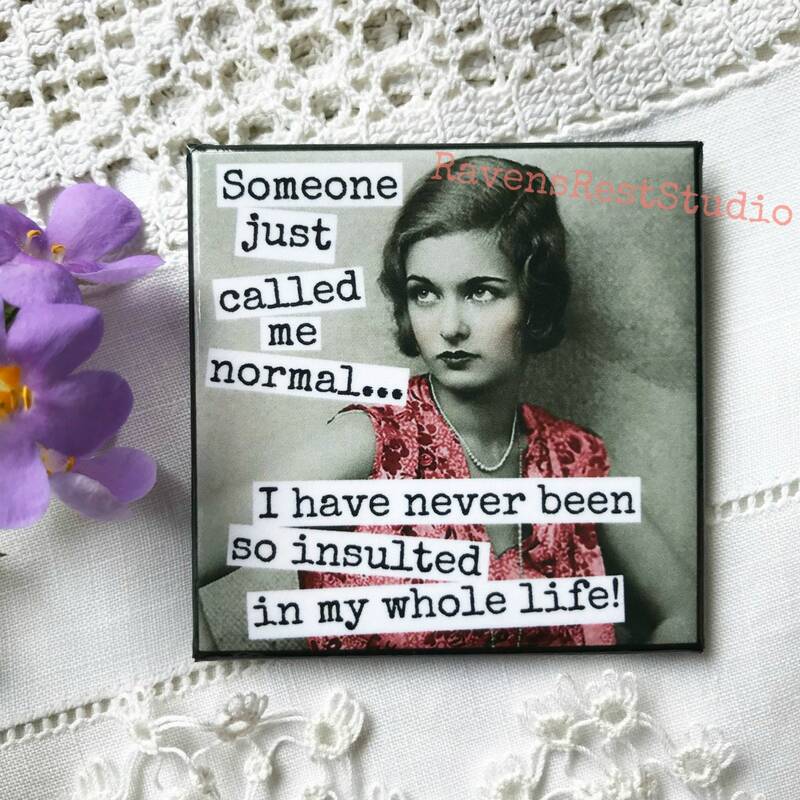 This 2 inch square magnet features a vintage flapper and reads: "Someone just called me normal! I have never been so insulted in my whole life!". This magnet is protected with a durable mylar coating and comes packaged in a clear cello bag.